The entire staff is not only professional but so nice and friendly, quickly puts anyone at ease. I am beyond happy with the results and experience. I constantly am recommending AesthetiCare and Dr. Moser because they exceeded my expectations. I first heard about Dr. Moser and AesthetiCare from a friend who highly recommended them and now I can tell all my friends. Many individuals struggle to shed pockets of localized body fat, even after maintaining a steady diet and exercise regimen. There are surgical fat removal options, but they require a lengthy recovery that patients may not have the time to accommodate in their busy schedule. 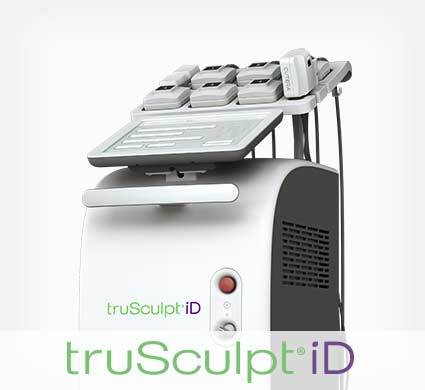 At AesthetiCare, patients can achieve the slender figure they desire with truSculpt® ID, a non-surgical fat reduction treatment that utilizes monopolar radiofrequency (RF) technology to produce quick body contouring effects. What Can truSculpt® ID Achieve? The truSculpt® ID device delivers low frequency and uniform RF energy deep into the target area, addressing displeasing fat cells between the skin and muscle. Patients typically lose an average of 24 percent of the fat cells in the treated area, which are gradually metabolized over a period of 12 weeks. After experiencing truSculpt® ID, patients can enjoy slimmer and more defined curves. Cellulite can plague both men and women, regardless of how much excess fat they have. Fortunately, in addition to fine-tuning body contours, revolutionary treatment with truSculpt® ID can also minimize the appearance of cellulite in the target area. A smoother, firmer surface can complement the newly refined shape underneath, resulting in a pleasing aesthetic. Traditional at-home methods of fat reduction, including weight lifting and cardio, cannot pinpoint problem areas. The versatile truSculpt® ID device can treat nearly any part of the body, allowing patients to achieve customized results. With truSculpt® ID, one of our aesthetic surgeons can enhance the contours of the abdomen, flanks, buttocks, thighs, chin, and arms. Because truSculpt® ID is personalized to your goals, your treatment can provide a noticeable improvement to multiple problem areas. During your truSculpt® ID consultation, your aesthetic provider will listen to your cosmetic concerns and assess your condition to develop a treatment approach that addresses your needs. You will also discuss your medical history and go over any potential side effects associated with the procedure before moving forward. Depending on the desired extent of correction and the number of areas being treated, treatment with truSculpt® ID can take between 15 and 60 minutes. The handpiece is placed on the surface of the treatment area, delivering RF energy into the tissue, and then it is moved to the next area of concern. As the device begins to work, you will feel a heating sensation in the treatment area. The temperature can be adjusted as needed. Some patients experience mild redness, swelling, and tenderness in the treatment area, but these side effects should subside within a few hours. Because truSculpt® ID treatment is non-invasive, you can resume your daily activities and return to work immediately following your procedure. There are no incisions involved with truSculpt® ID treatment. Patients who choose to undergo treatment with truSculpt® ID will not have any scarring due to the nature of the procedure. The cost of truSculpt® ID treatment varies depending on the number of areas to be treated as well as the extent of correction required to achieve your goals. Your medical provider at AesthetiCare will calculate a cost estimate that reflects your unique treatment plan during your consultation. We offer many different financing options for patients who qualify. No anesthesia or pain medication is necessary during the procedure, as truSculpt® ID is designed to be comfortable and non-invasive. The treatment area or areas may be slightly tender, but the discomfort is usually minimal and temporary. When will I see the results of my truSculpt® ID procedure? Patients can expect to start seeing results as soon as four weeks after treatment with truSculpt® ID. Results will continue to improve for as long as 12 weeks. How many truSculpt® ID sessions will I need? Your aesthetic provider will determine how many sessions you need to obtain the results you desire. Most patients reach their fat reduction goals with two treatments that are performed over the course of two months. How should I prepare for my truSculpt® ID procedure? It is recommended for patients to prepare for truSculpt® ID treatment by staying hydrated and avoiding caffeine on the day of their appointment. 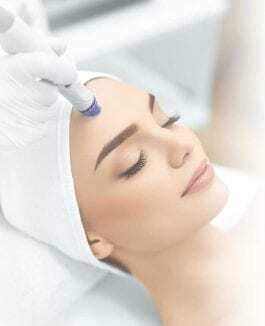 Does truSculpt® ID address skin laxity? Yes, patients who are concerned about skin laxity can benefit from body contouring treatment with truSculpt® ID.